Father's Day is nearly here, and you know what that means, the official start of Summer is only days thereafter. In fact, the symbolic aspects of summer have already arrived. Kids are out(or almost out) of school for the Summer, and the warm weather rolled weeks(or months) ago. Since the kickoff of Summer is so close to Father's Day, I always have that in mind when it comes to buying gifts. Getting dad a tie is fine, but ties are worn(traditionally) with collared(long sleeved) shirts, which is probably the last thing he would be happy about wearing in the intense Summer heat. Why not get dad a gift that helps him celebrate the warm weather and bond with the family that he does so much to take care of? A gift that the whole family will use and that will be a catalyst for many special memories for years to come. If you are at a loss for the kind of gift that offers all of the aforementioned qualities, luckily, you have me to lay it out for you. 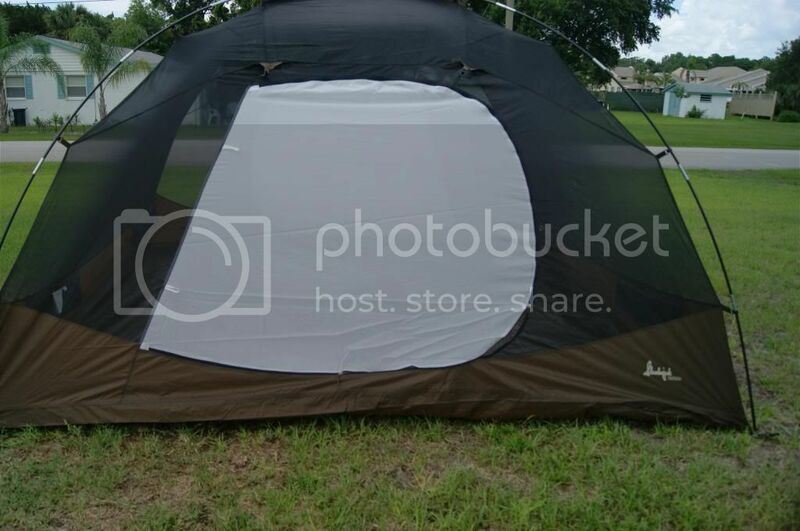 A TENT! It sounds so simple doesn't it? Well yes and no. 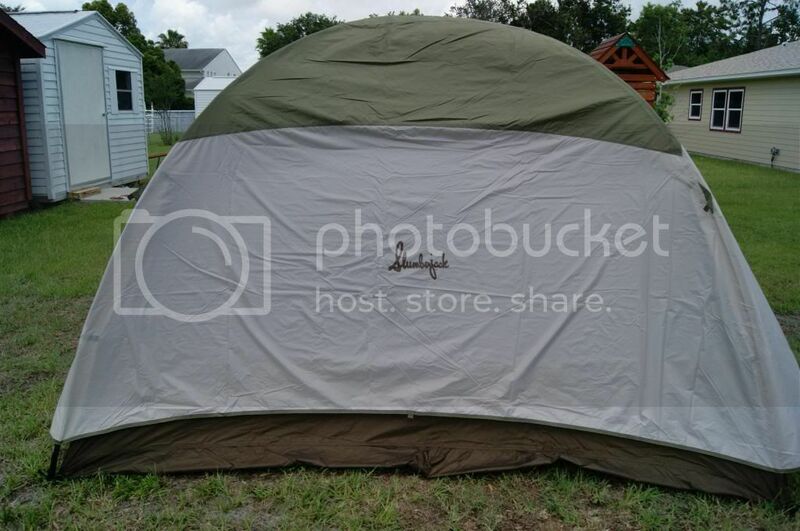 The idea is simple, but just any old tent is definitely not sufficient to even use, let alone to gift. 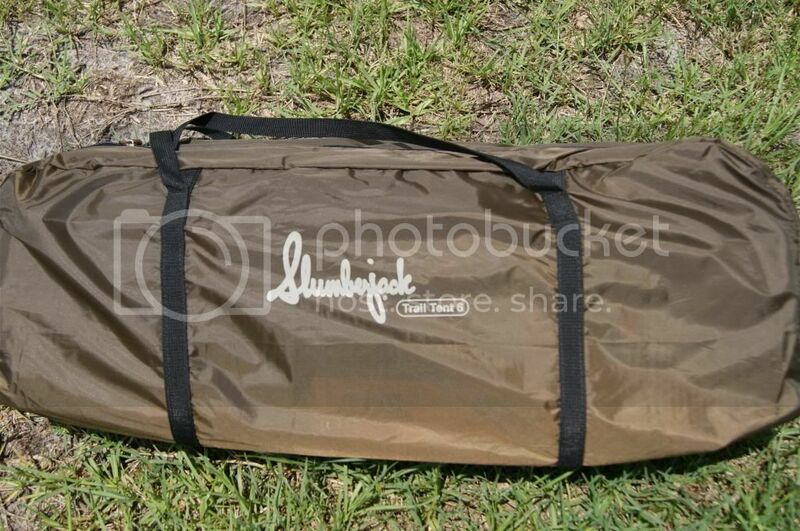 Thankfully, Slumberjack makes tents that are anything but ordinary, like the Trail Tent 6. What makes the Trail Tent 6 extra special, is that is is a 3 season tent, so it is perfect for Summer, Spring and Fall as well. I really like that is is easy to assemble. 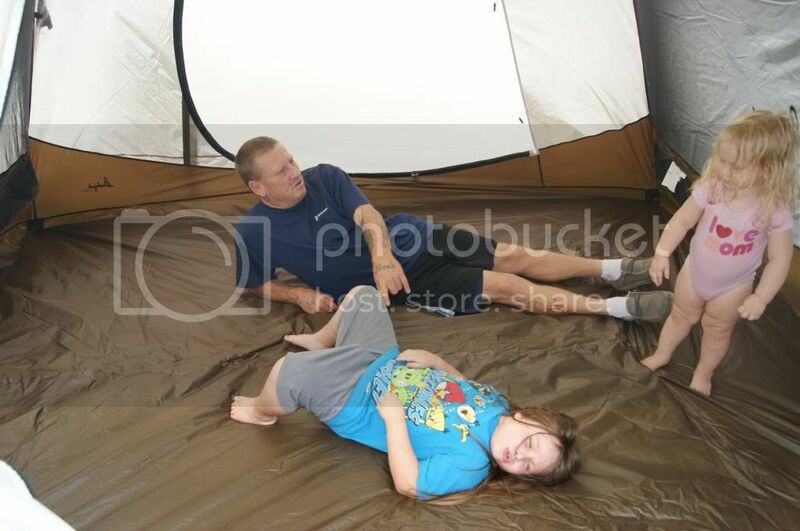 I have never tried to pitch a tent on my own before, and even used to have trouble helping others do so. This was very simple, even without any help, which says a lot considering the large size. Had I staked it down prior to trying to pitch it(as the directions suggested, it would have been even easier than it was I am sure, but Miss Know It All that I am, I didn't. I was able to do it with no help withing maybe 15 minutes, and like I said, that was me being rebellious with the directions. It was really easy. The tent itself has Mesh Wall Panels so the ventilation is optimized. That is such a huge necessity in the hot, humid weather in Florida. It also features a super convenient dual opening("door") design, for easy entry/exit, even with multiple users. As awesome as this is, we have one huge problem that we encounter every Summer here in Florida, the rain. It rains almost daily, and often unexpectedly. Ventilation is wonderful, until the rain starts pouring into your cozy camp and makes it very hard to enjoy your adventure. That is when the special feature of the Trail Sent 6 serves as an invaluable asset. 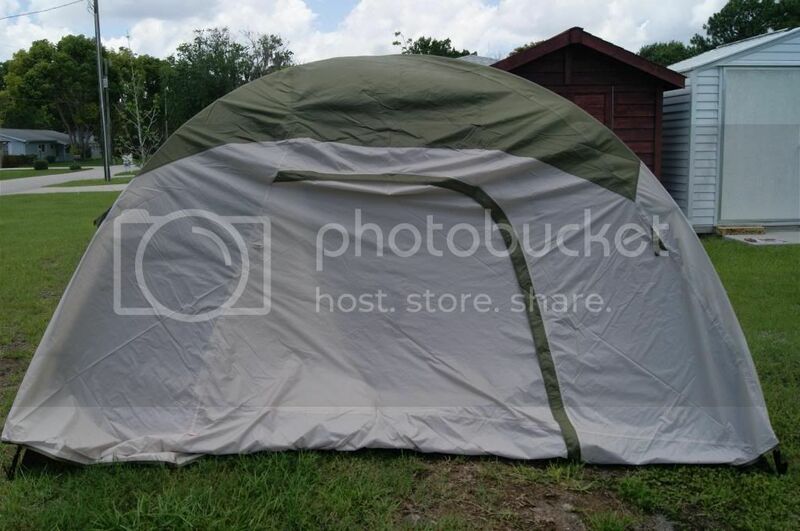 This incredible tent has a Full Coverage Rain Fly. It hooks right onto the sent(with clips), stays securely in place for a bone dry experience. Not only does this completely lock out rain, but it looks super stylish doing it. 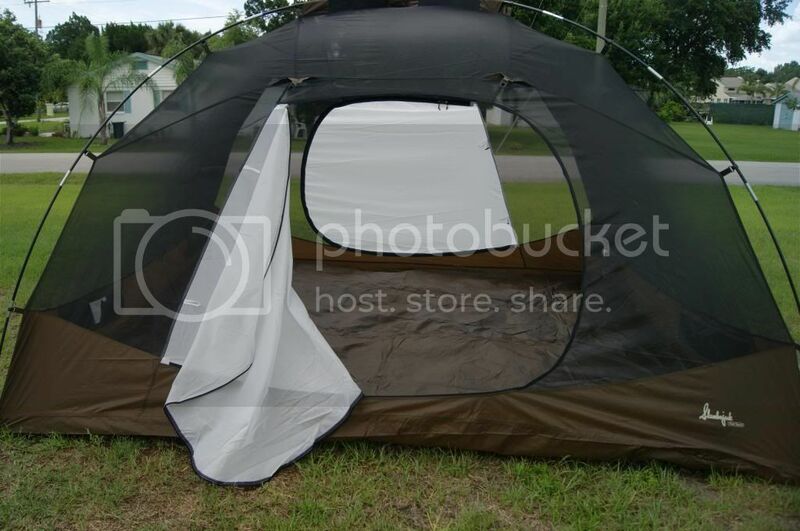 It also allows for an opaque cover for more privacy overnight or when camping in close quarters with other people. Plus, if it is a bit windy or chilly, this is perfect for shielding you from that was well. No matter how you use this tent, it looks cool, and performs at a level far beyond any tent I have ever been in(and there have been many). 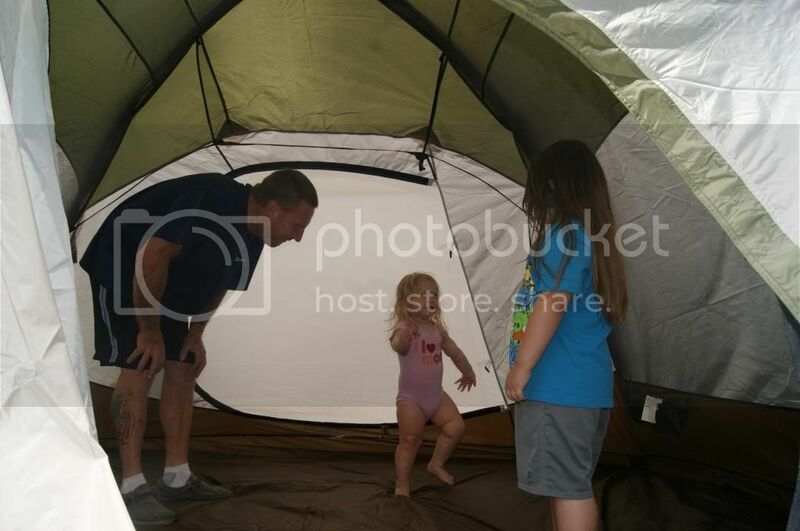 Probably my favorite aspect of this tent is the massive size. As the name alludes to, it sleeps SIX people. That is a huge plus. There are only four in our family, but with these rambunctious kiddos, we need lots of space, and this certainly delivers. 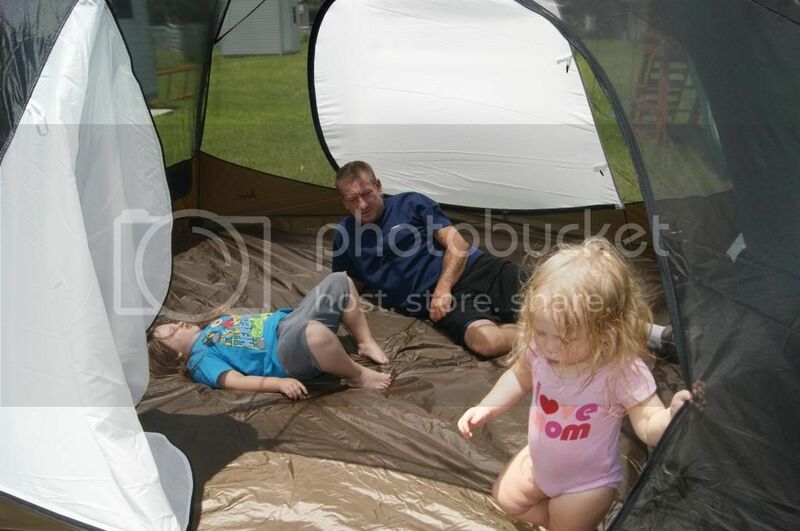 My hubby and kiddos were having a blast playing in this(and so was I when no behind the camera). There was so much room, we were astounded. Not only is very roomy width and depth wise, but also in height. In almost every tent I have been in, I have had to crawl, crouch and walk like a limbo champion just to get around, but this is actually tall enough that my husband and I can stand all the way up. That is a priceless feature. Nothing to make a good trip bad like tent neck. This tent is deceptively large. The outside it looks pretty compact, but inside it goes on forever. There is tons of space in there. The quality is out of this word. It is very durable. It is built to beat the elements and last for years and years, and yet it is not heavy, bulky or cumbersome. It fits effortlessly into an included carrying bag. It is so easy to carry and would even be suitable for hiking or something where it would need to be carried a long way. Everything about this tent is perfect. My husband loves it, which is everything you hope for when giving dad a special gift to show him how much you care. My hubby is not even much the outdoor kind of guy. 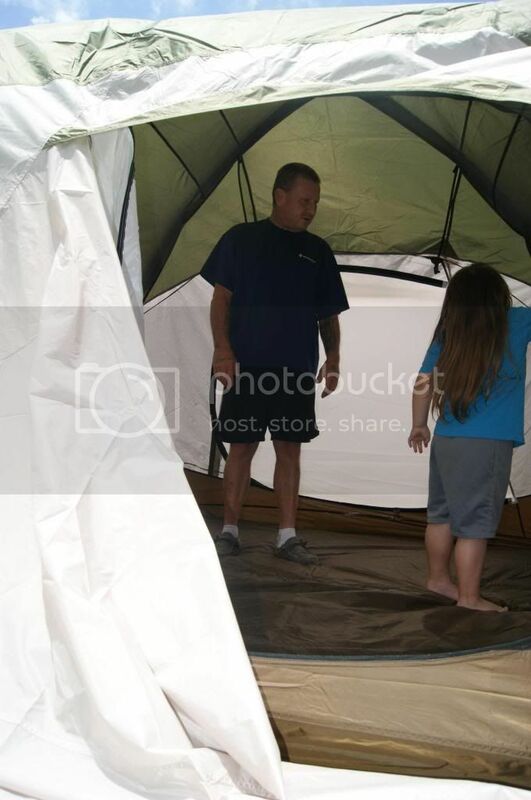 He used to camp as a child and really likes it, and my dad used to take my siblings and I camping frequently. We loved it and it was pretty much the only tradition(or happy one at least) that I have from my childhood. I have always wanted to share that with my kiddos, and so has my husband. This really is a gift, not only of an incredible tent, but a gift of adventure and of memories to be made. I cannot think of any gift that could offer more than that. The fun we have already had with the Trail Tent 6 is more than enough to make it a gift my husband loves, and we have only just begun on our adventure. 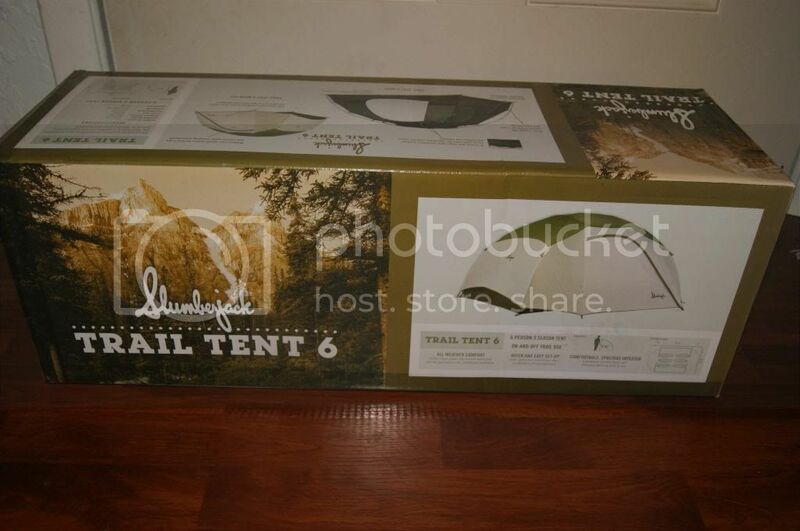 The Father's Day, give dad the gift of outdoor fun, excitement, bonding and, of course, impeccable quality, with the Trail Tent 6 from Slumberjack.